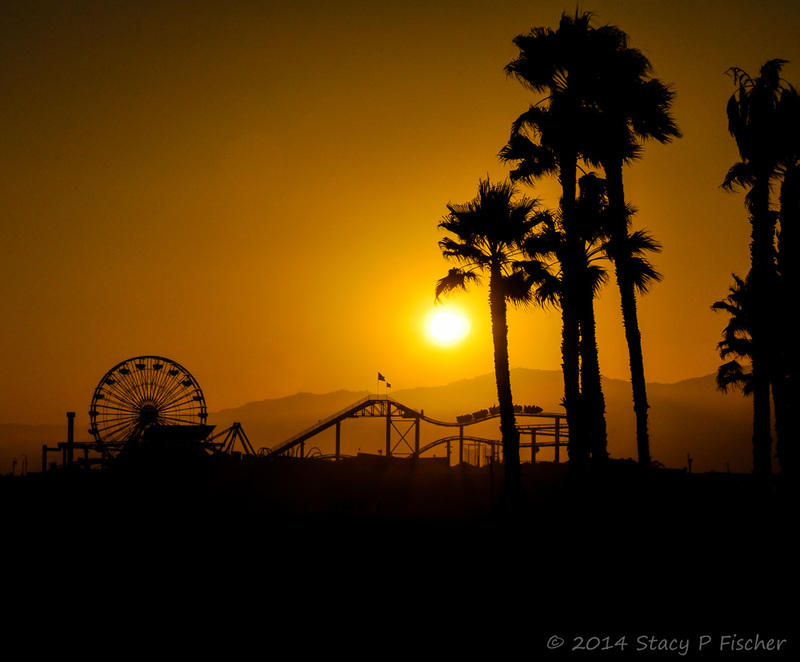 Just posted on Monochromia – this one’s for you, Cate Fischer! A right of passage for many high school juniors is the Spring Break college visit trip. And so it was for me and my daughter last March. Instead of heading south to warmer temperatures, we headed north, ultimately reaching Maine. And along the way we encountered dropping temperatures, a frozen Lake Champlain in Vermont, and of course, snow. 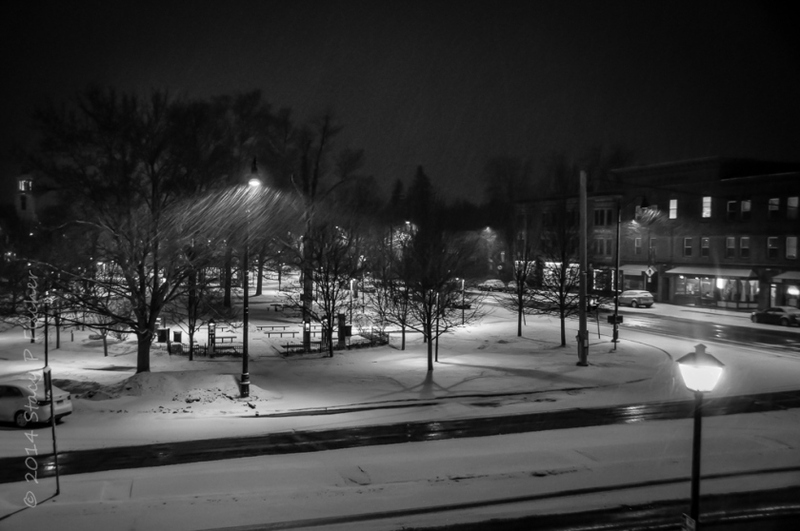 This night, snow fell silently on the small town of Hamilton in upstate New York. A quintessential New England town, there is a 1925, Dutch-colonial style inn that anchors the Village Green, and it is from a balcony there that I took this shot. I didn’t have a tripod, but I had a wooden railing, which served admirably. This is one of my favorite images from the 8-day, 10-state, 11-school, 1850-mile trip. And my daughter? She wants to go to school in California. This entry was posted in Black & White, Landscapes, Monochromia and tagged black and white, Monochromia, New England, photography, snow. Bookmark the permalink. I love your final sentence … after your traipse around New England, your daughter decides to go to school in California. I like how the light has caught the snow in the photograph, which otherwise would suggest a very still & tranquil scene with no movement. Wow, I can’t believe I missed replying to your comment, SC — and a few others, too, so nothing personal! Yup, I thought that last sentence was the perfect ending, so I’m glad you liked it too 🙂 I definitely think the snow in the light is what makes this photo, and I was excited that it showed up! Oh no worries. I sometimes miss people’s comments and then find them later and wonder how I missed them ! Thanks, Justine! Apologies for the late reply …. Bunch of miles. California will be fun. Yup, it will be. It’s just so darn far away …. Gorgeous. For only about a minute did I consider California (and only because both my parents went to Stanford and we figured we’d visit, but I didn’t like the school so I’m not continuing the legacy). Of course I then turned out choosing upstate NY. How funny to read the opposite perspective!